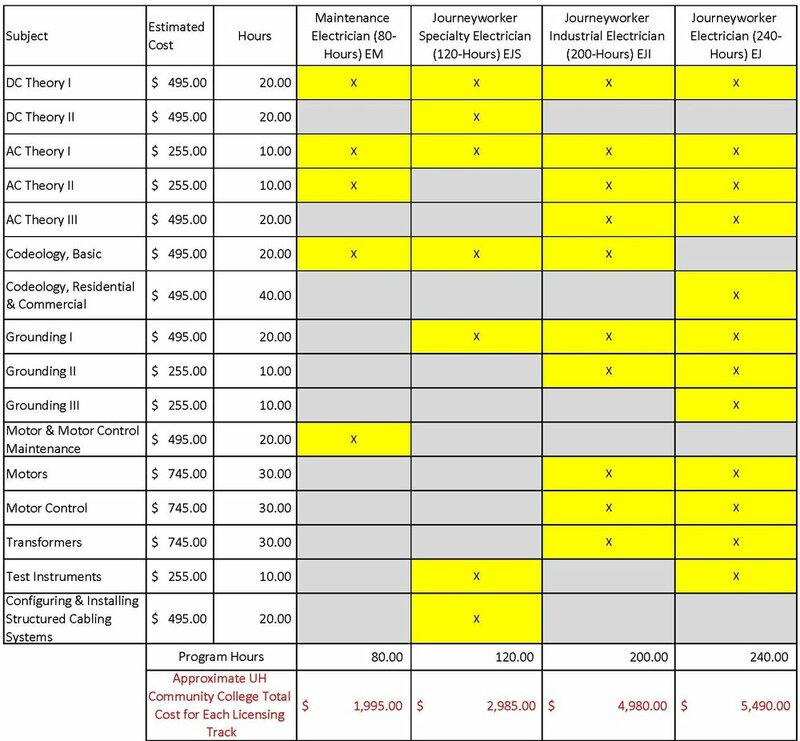 Hawaii Electricians JAC Apprenticeship Programs (Inside Wireperson - EJ & Telecom/CATV) - EJS) meet all electrical academic coursework requirements for licensing. Training Fund beneficiaries may take the electrical academic coursework at no additional cost. Please contact our office for more information.